Regardless of the devotion and the efforts, there comes a time when you just abandon your fitness regimen. Reasons vary, of course. Some get injured, some become too busy, and some just got exhausted. Holidays also give many people the reason to binge and skip workouts until January. Regrettably, a day or two can become weeks or even months of taking a break. If you let this happen, you’re back to where you started, which is the very beginning. A report shows that 25%-35% of adult fitness doers abandon their workout routines within two to five months of starting. Naturally, how your fitness level deteriorates depends on many factors. Cardiovascular fitness means your body can efficiently deliver and utilize oxygen from your blood in your muscles. Called VO2 max, this measure drops after 1-2 weeks of physical inactivity. As this happens, the heart’s proper functioning and capacities are also compromised. After 3-4 weeks of idleness, your resting heart rate heightens by four to 15 beats. The amount of blood reduces by five percent in 24 hours and 20 percent in a period of two weeks. 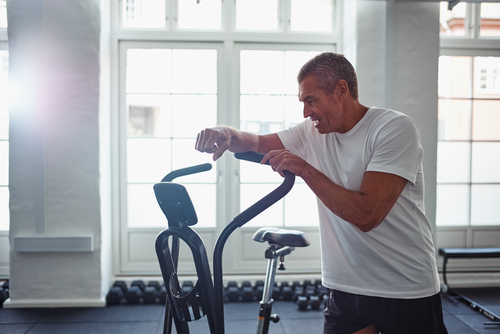 Moreover, you’ll even lose your cardiovascular fitness at a quicker rate if you’ve only been exercising recently (less than six months) than those who have been working out for more than a year. With this, you’ll lose roughly 40% of your cardio fitness. As for your VO2, it’ll still be in greater volume than those who have never worked out. When you take a break from your stretching routine, it’s likely that you’ll soon lose whatever flexibility you’re enjoying. It’s recommended to perform stretching at least thrice per week. Otherwise, you’ll notice a loss of flexibility in as few as three days. By the time you reach the two-week period sans stretching, the changes in your flexibility will be even more prominent. Halting your strength training will affect your strength, obviously. Within days of not performing strength exercises, your muscles will start to manifest changes. Naturally, muscles lose their protein when not getting the physical challenge it requires on a regular basis. This protein that is lost is absorbed into the body’s circulation and is expelled out of the body via urination. Small yet significant loss in muscle protein can start to take place in 72 hours. Remarkable changes when endeavoring to lift your typical weight load manifest in 2-3 weeks. 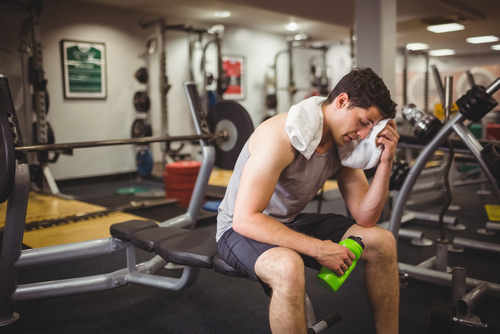 A healthy person who decides to take a break from workout loses muscle mass and cardiovascular fitness more gradually than an individual who stops working out because of a sickness or an injury. In fact, the loss of fitness levels is doubled when your break from exercise is caused by an illness. This is because the body is put under stress when there’s a disease or an injury involved, which puts a greater toll on the body compared when you’re healthy during your break. Staying fit isn’t something that requires strict fitness habits. You can always make the necessary adjustments to focus on something else. As a matter of fact, you can sustain your fitness levels in an astonishingly little quantity of time. As such, you only need 20 minutes of high-intensity interval training two times per week for the maintenance of both cardiovascular and strength levels. You just need to make sure that the exercise you will perform is high-intensity, which means it must be at between 80 and 90 percent of your upper limit heart rate. It’s only natural that your strength and general fitness will diminish as you get older. This is primarily caused by your hormone levels since your human growth hormone (HGH) levels tend to decrease with aging. This natural occurrence in the body makes recuperation more difficult. The body also starts to lose its capacity to deal with stress and recuperate from the ensuing stress hormones like cortisol. As people age, this very same mechanism leads to a more substantial exhaustion after an exercise session. Also, numerous studies demonstrate that older athletes, generally, take more time when it comes to recuperating from their training. After being idle and inactive, your nervous system loses its capacity to set off as it used before you take your break. This is because the neural stimuli, which allow you to lift heavy weights with the same measure of effort diminishes. Hence, when you return to weight lifting, you notice that it’s not the same. You may still be capable of lifting the same amount of weights, but you’ll be working above your standard capacity. This is bad news since it could compromise your muscle tissues. Simply put, upon returning to your workout after some time of respite, you’ll find that you exert more effort in doing something that you used to easily do. What’s more is that you will also need a longer break between sets and days in order to efficiently recuperate from your physical exertions. If you’ve just started working out and decided to have a break during the holidays, you will be required to start from the beginning as a consequence of your time off, negating your initial efforts.